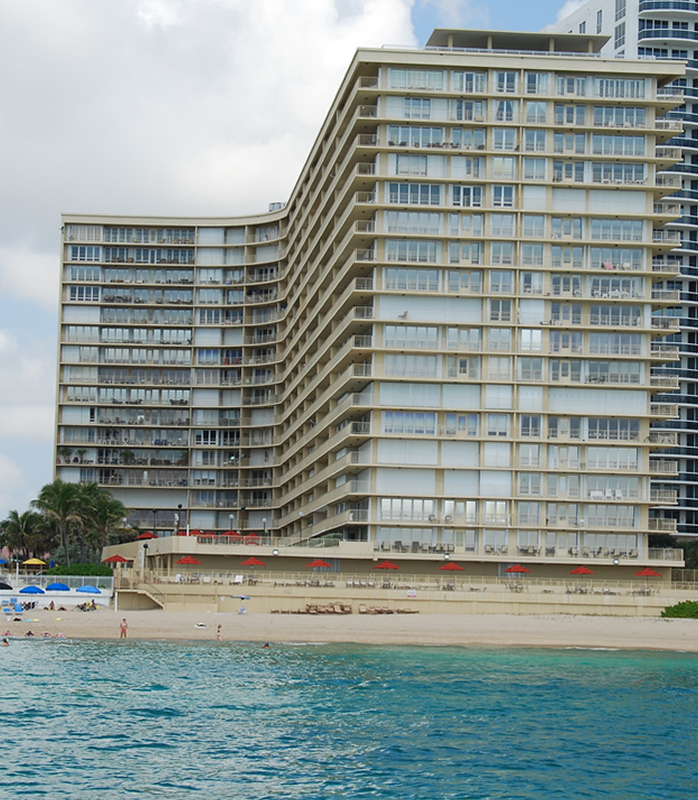 The Galleon is an 18-story 214 unit hi-rise located on Ft. Lauderdale’s prestigious Galt Ocean Mile. 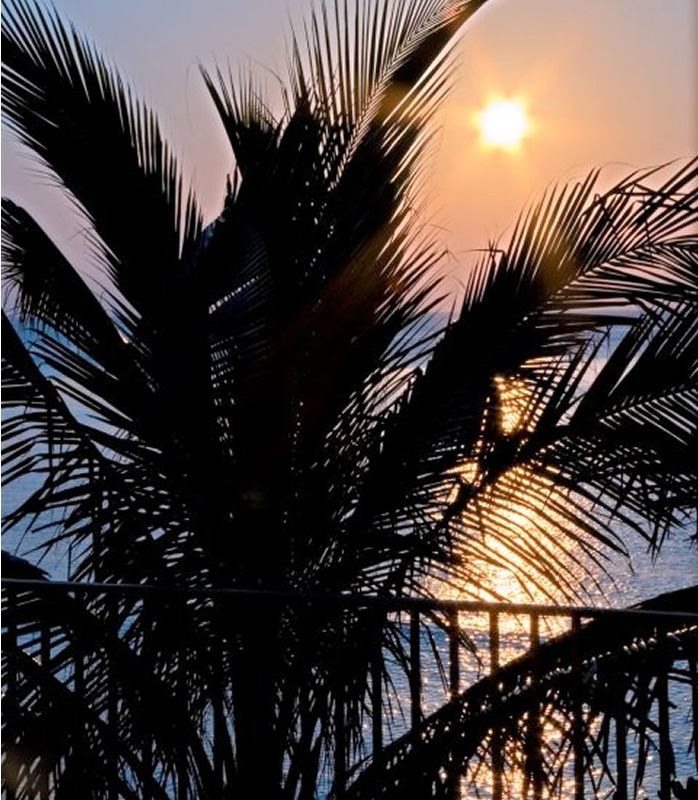 The spacious apartments all feature floor to ceiling windows and balconies that stretch the entire length of the units, offering spectacular views of beach, ocean and sky. 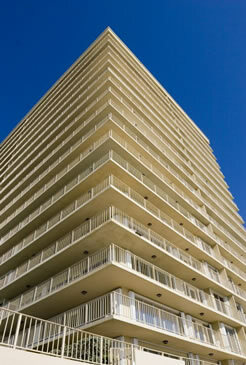 The Galleon is a professionally-managed building with 24-hour security and well-staffed maintenance and housekeeping departments. 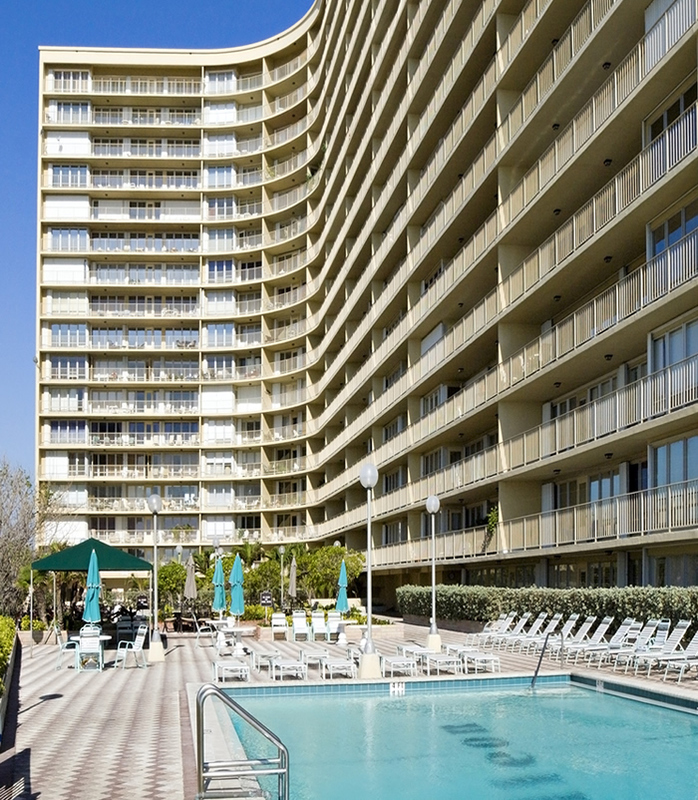 Each unit has deeded gated and covered parking. The building provides cable television, with two in-house channels offering timely building information; there is a public announcement system in each unit, and free WiFi is available in the common areas. Volunteerism is an important feature of life at The Galleon, and residents are encouraged to participate on one of the committees (Building/Maintenance, Communications, Decorating, Governance, Grounds, Security, and Social) that assist the Board of Governors in working always to enhance the quality of life here. 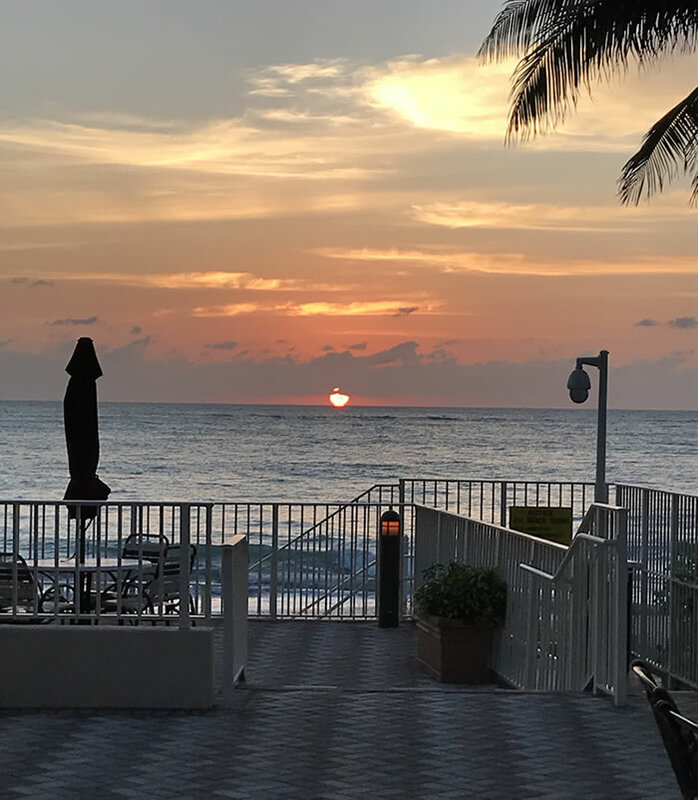 The Galleon, on 200 feet of ocean beach, provides numerous amenities and a tropical setting to give residents and their guests a true taste of South Florida living. Consectetur adipisicing elit, sed do eiusmod tempor incididunt ut labore ausmod tempor incididunt ut labore et dolore. Proin eget tellus tristique lacinia erat non. The Galleon provides a modern Fitness Center in two rooms: The first has cardio equipment and weight machines with windows out to the Pool Deck; the second contains free weights and stretching equipment. There are separate facilities for women and men, with saunas, showers and lockers. The first floor Pool Deck and Garden is a lovely spot to exercise in the pool, relax in the sun, and mingle with neighbors. The lower level Sun Deck has gas grills and dining and lounging areas and provides access to the Galleon beach. 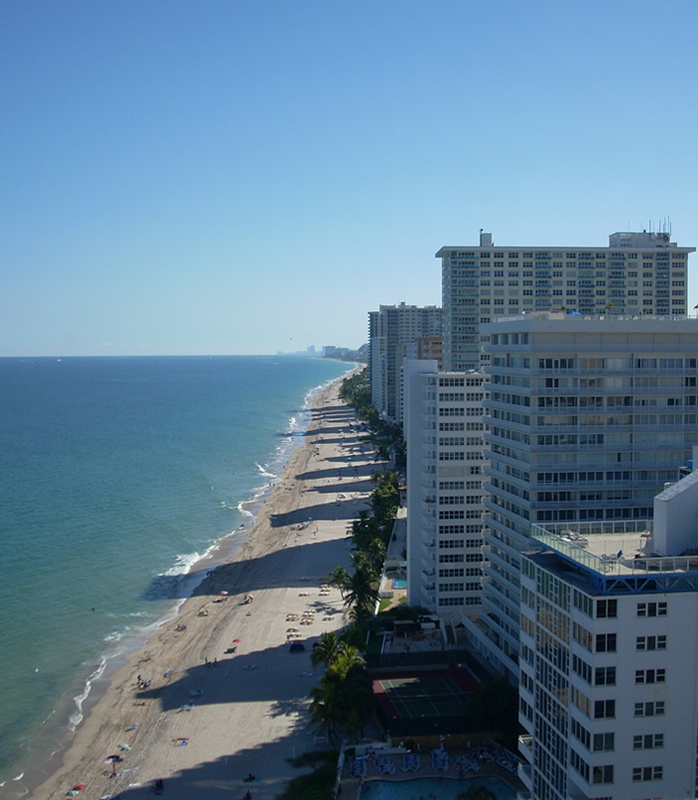 Enjoy panoramic views of the beach and cityscape from the Galleon roof. The roof deck is a great place to gather to experience the annual Air & Sea Show, Independence Day fireworks, and celestial events. A fixed canopy provides shade. The Galleon features two Community Rooms. The Armada Room is the principal gathering space and also serves as a venue for large parties – it has a wet bar, a dance floor, and a baby grand piano. The Lugar de Reunion is multi-functional: It is a room where card players regularly meet, and there is a pool table off in an alcove; a wet bar and adjacent kitchen and restrooms make this a space suitable to reserve for dinner parties, birthdays, and other special occasions. The Lobby is a soaring two-story space that welcomes visitors and guests and serves as a place for residents to sit in conversation with neighbors and friends. •	Hi-speed WiFi in the common areas •	Cable TV with premium cable in all units •	Get-togethers organized throughout the year by the Galleon’s Social Committee •	A relaxed, care-free lifestyle on the beach!